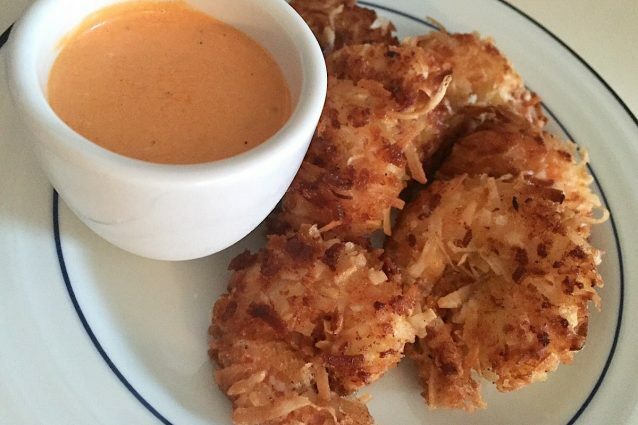 Not only is this coconut shrimp recipe amazingly delicious but it is also very easy to make! Fresh shrimp is cleaned then covered in a coconut coating. While you can really use any type of oil you'd like to fry the shrimp, this recipe utilizes coconut oil to get even more of a coconut flavor infused into the shrimp. Coconut oil is also considered to be a healthier oil to cook with- just another bonus for this great recipe! So get out your frying pan and get ready for some mouth watering, tropical shrimp! In a small bowl, mix the panko and shredded coconut together. Whisk the whole milk and eggs together in a separate small bowl. Also stir the flour, salt and pepper together in another small bowl. Line up the coconut mix, whisked eggs and flour to set up your shrimp dipping station. Begin by tossing the shrimp into the flour to completely coat it. Then, dip the shrimp in the egg mix followed by coating it in the coconut and bread crumbs. Dip all of the shrimp as described in step number 3 and set onto a large plate or sheet tray. Heat the coconut oil in a frying pan and once hot, add the coconut shrimp. Cook the shrimp in batches so as not to over crowd the frying pan and cause the oil temperature to drop. Cook the shrimp for about 3 minutes on one side then flip them and fry for another 2 minutes on the other side. Serve the shrimp while hot paired with your favorite dipping sauce or eat them plain! -A thinned orange marmalade is a great sauce to pair with these coconut shrimp. Simply mix marmalade together with a tablespoon or two of dark rum- a great tropical dip! -While coconut oil makes these shrimp even more flavorful, regular vegetable oil will work perfectly as well to fry these shrimp. 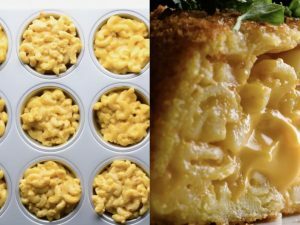 They can also be cooked in a deep fryer rather than a frying pan if you have one! 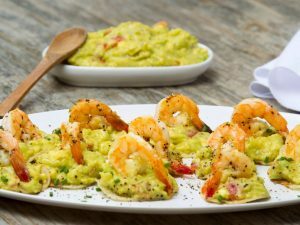 Mexican Shrimp bites: easy to prepare! 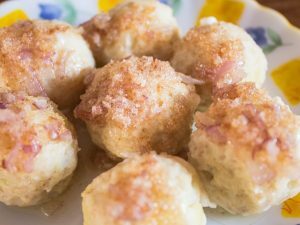 German potato dumplings: A delicious take on healthy dumplings with lovely butter sauce!